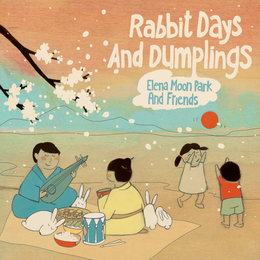 When I first heard that Elena Moon Park, one of the regulars in Dan Zanes's band for some years now, was coming out with an album of East Asian folk songs of her own, I was pretty confident it was going to sound fantastic before I ever heard a track. Park has long since proved herself a remarkably skilled and adept musician on the Zanes albums, and contributions from the likes of Zanes himself (who also executive-produced) and the Kronos Quartet made the album sound even more promising. It doesn't disappoint—in fact, if anything, Rabbit Days and Dumplings surpasses my high expectations, for two reasons. The first is Park's remarkable arranging skill. Whether she's staying close to a song's Asian roots (as in "Ti Oh Oh," from Taiwan, and the Japanese fisherman's song "Soran Bushi," which I was thrilled to rediscover years after encountering a choral version of it in college) or Americanizing it somewhat (as with the opening track, "Sol Nal," which has a Zanes-y feel to it, as well as the Beatles-esque "Summer Is Here" and several others), Park has a knack for setting a song in an especially fresh way, using a wide variety of instrumentation in the process. The second is Park's voice itself, which is a revelation: I'd heard her, of course, singing backup on the Zanes albums for years, but I had no idea she'd sound this amazing as a soloist! Her singing is warm, clear-toned, with a surprising power and strength—and always incredibly appealing. So I'm not surprised in the slightest that Rabbit Days and Dumplings immediately shot to the top of the list of repeated-play requests from our two boys upon arrival in our house. It's pretty much irresistible. All I can add is: Dan, you gotta let Park sing some more solos! You'd think that at some point the New York Review Children's Collection would just run out of obscure, unknown and out-of-print kid lit that's astonishingly brilliant to reissue. But they don't. It's really a testament to both their editorial and archival skills, as well as to the vast amount of great forgotten work out there to be found and reissued for our benefit. 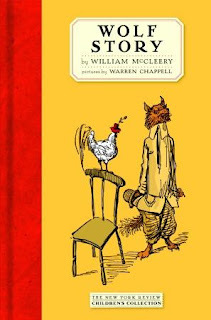 The latest from NYRCC might be my personal favorite of their entire canon: Wolf Story, from 1947, by William McCleery, who was a reporter, a magazine editor, and a playwright. (It also contains excellent illustrations by Warren Chappell.) It's part of—maybe even a forerunner of?—what is now a burgeoning "meta" kid-book genre, i.e., the story that makes the telling of the story part of the story, with The Princess Bride as a good example. Here, the focus is completely flipped, so that we're mostly in the "real" world of the father who's telling the story of the book's title and his six-year-old son, Michael. (Michael's best friend, Stefan, also makes an appearance.) That story itself—about a wolf trying to steal (and, naturally, eat) a farmer's prize chicken, only to be foiled by the brave, smart, and coincidentally six-year-old son of the farmer—is really less plot than background. Because what McCleery is really doing is describing the affectionate, sometimes frustrating, often hilarious negotiations that go on between parent and child in the storytelling process. And I've never seen an author capture it better—from the early demands, and attempts at parental resistance to those demands (the father desperately wishes to avoid yet another story about a wolf, but Michael relentlessly drives him to adapt the tale so that his favorite fearsome creature will be included), to the shared joy between parent and child of continuing and finishing a story that's become a collaboration. Kids of the boy's age and a little older are likely to find the storytelling-about-storytelling aspect fascinating (even if it's no longer as novel as it probably was in 1947). And parents will find plenty to smile sentimentally about in the accurate depictions of how we get wrapped around our kids' fingers in such situations. And the man continued: "Once upon a time there was a hen. She was called Rainbow because her feathers were of many different colors: red and pink and purple and lavender and magenta—" The boy yawned. "—and violet and yellow and orange." "That will be enough colors," said the boy. "And green and dark green and light green..."
"Daddy! Stop!" cried the boy. "Stop saying so many colors. You're putting me to sleep." "Why not?" said the man. "This is bedtime." "But I want some story first!" said the boy. "Not just colors." "All right, all right," said the man. "Well, Rainbow lived with many other hens in a house on a farm at the edge of a deep dark forest and in the deep dark forest lived a guess what." "A wolf," said the boy, sitting up in bed. "No, sir!" cried the man. "Make it that a wolf lived in the deep dark forest," said the boy. "Please," said the man. "Anything but a wolf. A weasel, a ferret, a lion, and elephant." "A wolf," said the boy. Isn't that just frighteningly familiar and on-the-nose? There's one more reason I found Wolf Story particularly thrilling, though, and it's one that I have to admit has little to do with any appeal to young kids. The father tells his tale in episodic fashion, mostly (after this initial bedtime scene) during a series of weekend outings with the two boys. Since the family live in downtown Manhattan, we therefore get a wonderful, personal, day-to-day view of what a dad would do with two young boys in New York City in 1947. (The whole thing is clearly pretty autobiographical—the book is even dedicated to McCreery's son, Mike!) The field trips include Fort Tryon Park, as well as Jones Beach for some autumn kite-flying (via the FDR Drive and the Triborough Bridge, oddly enough—I guess McCreery didn't like tunnels?). 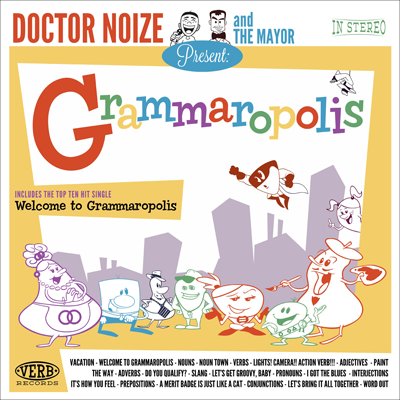 To someone who grew up in the city like me, this glimpse of your basic weekend jaunt of an earlier era is irresistible. All of which is to say that, while Wolf Story works marvelously as a book to read with children, as intended—the meta magic works for them just fine—it's as much or perhaps even more a book that will delight parents, making us laugh and smile and marvel, especially those of us with attachment to New York City. In other words, in the long run, this book is likely to end up not on my son's bookshelf, but on mine. I admit it. And I'm so pleased—and grateful to the NYRCC—to have discovered it.